We are offering Grain Moisture Analyzer , NIR to our client. It takes the "all-in-one" concept to a whole new level. most advanced all-in-one moisture meter. To determine the residual moisture content in textile materials in terms of percentage.Digital readout of readings in LCD display. Measurements for Cotton, Viscose & Polyster materials.Extended measurements for Rayon, Jute, Silk & wool materials also. - Designed to check the moisture level of soil or other similar material. 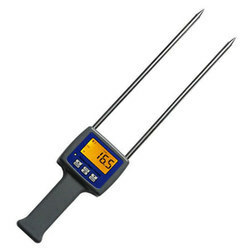 - All in one digital soil meter, easy to make operation. - Commodity calibration : Vegetable seeds and grains. - RS 232 Port : Port for connectivity to computer. 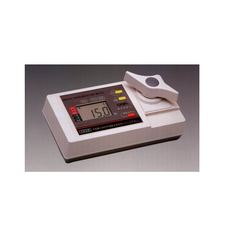 - Display : LCD display for commodity selection, weight, temperature & moisture percentage. - Keypad : 11 key Membrane keypad. For surveying buildings for dampness and for the rapid determination of the moisture content of wood / timber. Used the 2 pins electrode to measure the conductive ability of the spices, then converter to the of % “moisture Content. Measures moisture content over 9% to 30%.